The July 6th, TUF 19 Finale has received a compelling flyweight bout, as the UFC’s #13th ranked Dustin Ortiz and the undefeated Justin Scoggins have verbally agreed to fight at the event. The TUF 19 Finale will be hosted by the Mandalay Bay Events Center in Las Vegas, Nevada, and will feature a bout between the season’s coaches, BJ Penn and Frankie Edgar. Ortiz (13-3) is coming off a split decision win over Ray Borg at UFC on FOX 11, after dropping a split decision loss to John Moraga in January. 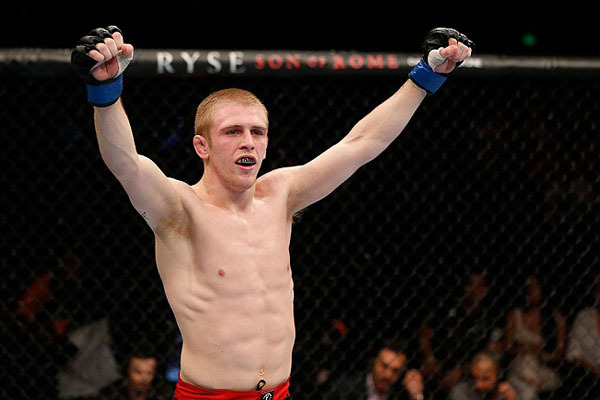 Scoggins (9-0) has scored a decision win over Will Campuzano, and a stoppage victory over Riche Vaculik since joining the UFC. The TUF 19 Finale will also feature the middleweight and light-heavyweight tournament finals from the show’s latest season.